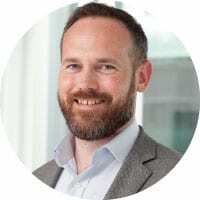 Rob works with partners across academia, government, technology vendors, start-ups, and other key stakeholders, in order to drive innovation within PwC and develop new services for clients. He is an evangelist for responsible technology and promotes awareness of the growing ethical agenda relating to AI. He is an advisory board member of the All-Party Parliamentary Group on AI, an adviser to The IEEE Global Initiative on Ethics of Autonomous and Intelligent Systems, a TEDx speaker, and a Fellow of The RSA. HOW DID YOU GET TO BECOME AN EXPERT IN ARTIFICIAL INTELLIGENCE? I’ve taken a rather diverse and circuitous path towards a career in AI having initially studied microbiology, worked in executive search and human resources and the emergency humanitarian response sector (which saw me deployed into West Africa during the Ebola outbreak). After joining PwC in operations and transformation, I moved internally to lead a major AI implementation prior to expanding the role. WHAT AREAS OF ARTIFICIAL INTELLIGENCE ARE YOU MOST PASSIONATE ABOUT? As AI becomes increasingly applied to business use cases of significant consequence, the potential for harm or poor outcomes for customers and citizens could rapidly scale. Therefore, the ethical issues pertaining to AI are the ones that occupy a lot of my focus. Similarly, the impact of AI on the automation of jobs is a fascinating area and one that we have undertaken substantial research upon. WHICH ARTIFICIAL INTELLIGENCE INFLUENCERS INFLUENCE YOU? There are a huge number of people whose work I admire; of particular note: Kate Crawford and Meredith Whittaker. Stephen Cave. Joanna Bryson. Tabitha Goldstaub. Jack Clark. OUTSIDE OF ARTIFICIAL INTELLIGENCE WHO ELSE INFLUENCES YOU? Rachel Coldicutt for responsible technology; Azeem Azhar for future trends; John Thornhill for innovation; Ian Bremmer for geopolitics; Hannah Fry for mathematics/science. I am currently very active on the speaking circuit and chalked up in excess of 100 events during 2018… I’m hoping to bring that number down a bit for 2019! I regularly provide media commentary on key AI developments and contribute to white papers and thought leadership for PwC and our industry stakeholders. The next 12 months is an important period in the global development of AI: Will the immense promise of the technology start to bear significant fruit in business? Will the right level of governance, controls and standards be established to avoid unintended consequences or will we see an increased push for robust regulation?